I am preparing to go to Phoenix this weekend. Under any other circumstances, I really have no need to travel to the desert. The Texas Rangers are not playing the Arizona Diamondbacks this summer. The NFL lock-out will probably prevent the Cowboys from playing the Cardinals. And I have never traveled to watch professional sports teams play anyway. If I want hot weather, all I have to do is step outside on a blistering summer day in Fort Worth (yes, I’ve heard that Phoenix is a dry heat—dry like an oven). The reason I am going to Phoenix is for the annual meeting of the Southern Baptist Convention. Earlier today I received a phone call from a vendor who specializes in marketing to religious groups. She wanted to schedule a time to talk in more detail about the “greatest marketing idea ever” that could help the Riley Center, and she preferred to do so next week. I told her that next week was not an option because I would be in Phoenix for the annual meeting of the Southern Baptist Convention. She replied, “I would like to go to that one day. It sounds like fun.” I retorted, “It’s basically one long business meeting. I don’t know if I would call it fun. But I enjoy it anyway.” After hanging up the phone, my response to the vendor made me start thinking about why I attend the SBC annual meeting each year. I didn’t grow up in the home of a pastor who planned family vacations each year around the location of the meeting (don’t laugh, there’s a good reason why the Orlando convention last year was one of the better attended conventions in years). I had never been to the meeting prior to the Nashville convention in 2005. I missed the 2006 convention in Greensboro and have been to everyone since then. I don’t serve on a board or committee whose attendance is required. So why do I go? Here are a few reasons. This is an easy one. I enjoy the fellowship at the SBC Annual Meeting. I have received all of my post-secondary education at Baptist schools. For fourteen years, I attended Baptist institutions of higher learning. I sat in classes with fellow students who now pastor churches, serve denominational entities, or simply have an interest in attending the convention. Each year, I have standing lunch/dinner/dessert appointments with classmates from college or seminary. I look forward to those times each year. In addition, I have served as an administrator and professor at Southwestern Seminary for over four years. It was probably last year that I had my first run-in with former students. I have officially taught long enough here that my students see me and come tell me what they are doing in ministry since graduating from SWBTS. The funny thing about that is I still do the same with some of my former professors at Mississippi College and Southeastern Seminary. Even though I am on the low end of the age scale at the annual meeting (I turn 33 on the final day of the convention), I find the fellowship with both the younger and older pastors, students, messengers, etc to be a motivating factor for wanting to attend. Contrary to popular opinion, the annual meeting is not simply composed of “gray-hairs.” There are those of us younger folks who like to attend as well. The next reason to come to the annual meeting is the encouragement I receive. This comes in a few different forms. The first is related to the fellowship mentioned above. I am encouraged to hear what my friends, classmates, and students are doing and how God is using them. I typically come away from those conversations energized. Another form of encouragement is found in the sermons that are preached during the pastors’ conference and as part of the convention. Typically, this is an opportunity to listen to some of the greatest preachers in the Southern Baptist Convention. Now my standards are pretty high since I was privileged to hear Adrian Rogers preach multiple times a week growing up. Certainly, the preaching does not always live up to his standard, but rarely am I disappointed. Most people bring their “A-game” to the Southern Baptist Convention. The last form of encouragement comes from various reports. Yes, you can be encouraged by listening to reports that take up the majority of the time at the convention. Listening for the nuggets about what God is doing in different places gives me encouragement that we are trying to reach the world for Christ. 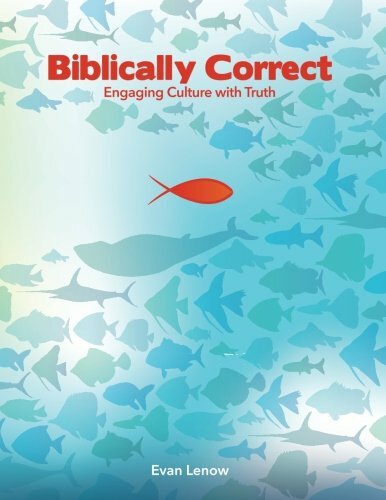 It is hard to attend a meeting full of pastors, professors, and others interested in the life of the church without stepping back and evaluating your own spiritual maturity and commitment to serving God. It sometimes feels like Joshua addressing the people of Israel in Josh 24. In v. 14, he tells the people, “Now, therefore, fear the Lord and serve Him in sincerity and truth; and put away the gods which your fathers served beyond the River and in Egypt, and serve the Lord.” The people express their agreement to Joshua’s challenge, and then he responds in v. 19-20, “You will not be able to serve the Lord, for He is a holy God. He is a jealous God; He will not forgive your transgression or your sins. If you forsake the Lord and serve foreign gods, then He will turn and do you harm and consume you after He has done good to you.” So what’s the deal? Why challenge them if they can’t do it? They could not serve God on their own. I think the same holds true for us. We cannot serve God effectively in our own power. We must depend upon the Holy Spirit working in and through us. The conviction I receive at the convention is much the same. I hear how God is using others, and I begin to ask why I don’t see the same in my life. Upon reflection I am then convicted that perhaps I am trying to serve God in my own power. This is a helpful reminder each year. I don’t really care what people say, the Southern Baptist Convention is still relevant. Any student of Baptist history will see that the SBC has changed, adjusted, and morphed through the last 166 years. We don’t look the same. We don’t act the same. But we do have the same message—the unchanging message of the gospel built upon the inerrant, infallible Word of God. The gospel message never loses relevancy. 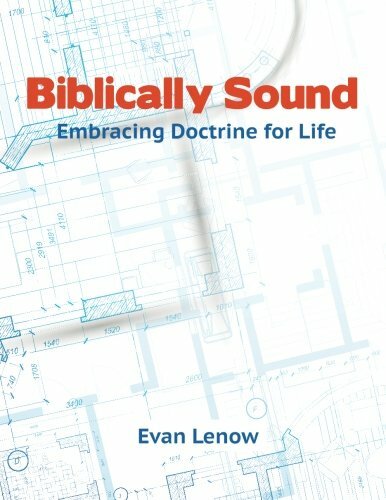 The question for the Southern Baptist Convention this year (and every year) is: Are we effectively communicating that gospel message to the world? The baptism numbers in the Annual Church Profile seem to suggest the answer is no. Of course, numbers are numbers—they can say lots of things. However, the future of the Southern Baptist Convention and the church is dependent upon the proclamation of the gospel (Rom 10:14-15). How will we best utilize our collective resources to proclaim the gospel? 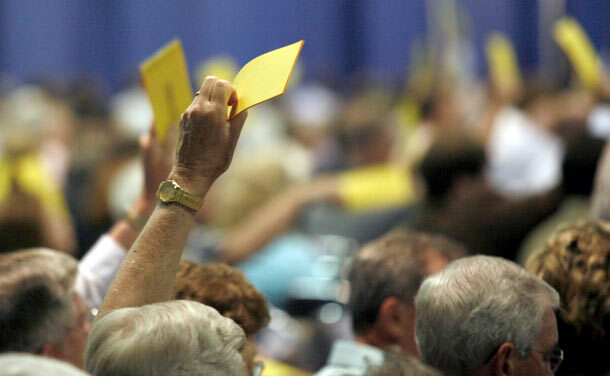 Those decisions will be made at the annual meeting of the SBC. And that is why I attend. I hope to see you there. If not this year, hopefully we will meet at one in the future. I agree. I am looking forward to it as well. I missed last year. So, it will be good to see many friends I haven’t seen in several years. It will also be good to make new friends. See you Sunday!